Two more Parma schools have been hit with bed bugs this week. Shiloh Middle School and Parma Senior High School both have bed bugs, Parma City Schools confirmed in a release on Tuesday. The statement said bed bugs were found in one area of each school. Thoreau Park Elementary School was closed Monday after bed bugs were discovered in the building . Both schools remain open as workers try to eliminate the bed bugs. 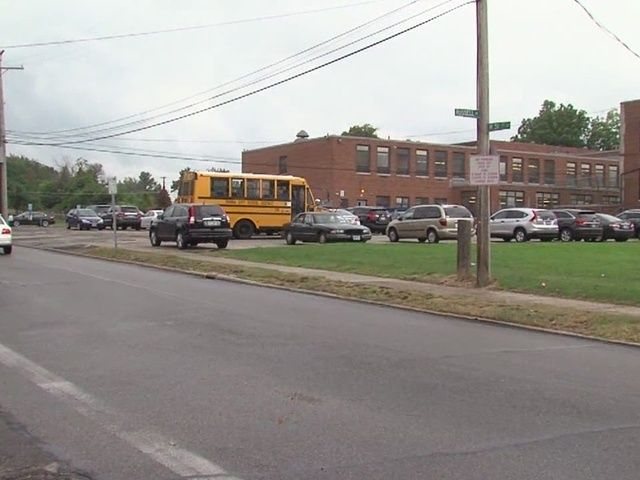 According to a sanitarian from the Cuyahoga County Board of Health, no bed bugs were visually spotted at the schools, but a dog trained to find bed bugs smelled the scent of them. Sanitarian Tom Barsa said the buildings are safe for students because the pest control teams are using a powerful heat method rather than a chemical one. But many parents begged to differ and began pulling their students out of class Tuesday morning. Several parents echoed the sentiment that Shiloh and Parma HS be closed and cleaned the same way Thoreau Park was on Monday. Rajkovich said that if parents are uncomfortable with their students being in the schools, they are allowed to take them out. At this point, there are no plans to close either school and every building in the district is now being monitored for signs of bed bugs. Parma City Schools will continue to post the latest information on the district's website. contractor and with district health officials, to monitor all of our buildings in the district.